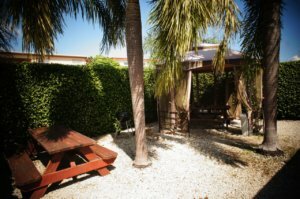 Clients at 1st Step Behavioral Health’s alcohol and drug treatment center have the opportunity to experience our tranquil location in South Florida. Lush surroundings enfold a beautiful, fully furnished apartment style setting, with multiple indoor and outdoor meeting areas for community members. Clients who participate in 1st Step’s program will have access to full amenities provided through our center, as well as excellent care, support and alcohol and drug addiction treatment services and activities. Our professional and compassionate staff at 1st Step’s drug rehab center all believe that the disease of addiction and/or co-occurring disorders are treatable, and are dedicated to helping individuals achieve their recovery goals. If you or your loved one is in need of a restorative and effective treatment center, we invite you to call 1st Step today. The amenities and experience at 1st Step Behavioral Health’s alcohol and drug treatment center are aimed at bringing people together and into the community through recovery. The peaceful environment and setting promote socialization as well as providing a serene backdrop for quiet reflection. Semi private rooms offer shared living spaces, and clients are encouraged to participate in planning meals and chores together. They will create meal plans and shopping lists with roommates to facilitate the enhancement of life skills, as well as creating a family atmosphere. Our alcohol and drug rehab center offers gym and pool access, availability of our wellness center for chiropractic and massage therapy, and activities such as softball, volleyball, bowling, movies, and occasional trips to the Zoo. These therapeutic recreational activities are incorporated into the living environment in order to form a balance of healthy socialization for our clients as they establish recovering lifestyles. It is the goal of our alcohol and drug treatment center to provide a high standard of care, as well as encourage the continuance of day to day tasks. Supporting our clients coming together as a community and creating a sense of belonging is, for many, an important piece that has been missing in their life, which can become consumed by addiction. The majority of time will be spent focusing on recovery and participating in individual or group therapies and activities. Treatment programs can be fully customized to suit the individual needs of the client, and 1st Step is committed to ensuring the comfort and progress of each independent client. Clients in our alcohol and drug treatment programs will have their own unique story and experience with how substance abuse began to take hold in their life. Our goal is to assist individuals struggling with addictive behavior to recognize what has contributed to this, and to create a new direction for their story. One that begins to reflect who they truly are and what they really want with their life. It’s never the wrong time to reach out for help with alcoholism and addiction, call today for more information.